How much Dungeness crab can you throw down? Tonight, both downtown and Upper West Side locations of Zak Pelaccio’s Malaysian-fusion restaurant throw it down with an all-you-can-eat-crabfest. For $39, you can get up to your elbows in crabby chili goo; they’ll even throw in a free beer to sweeten the deal (Tiger on Hudson Street, Kingfisher on the UWS). 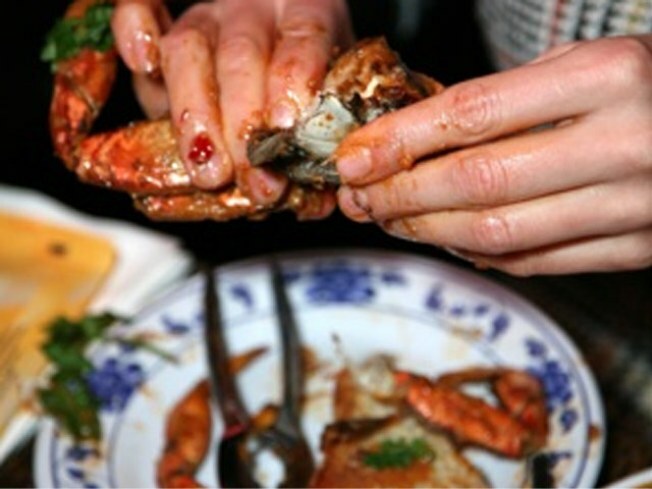 Monday December 14 at Fatty Crab, 2170 Broadway (212-496-2722) and 643 Hudson Street (212-352-3590).